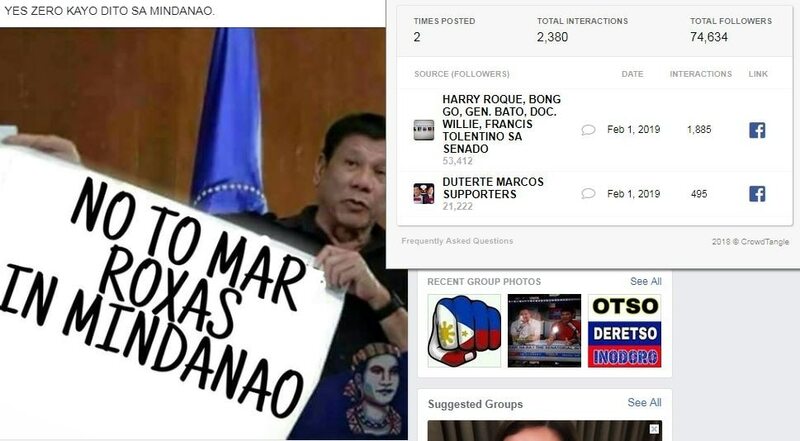 A photo that has been shared over a thousand times on multiple Facebook pages claims to show Philippine President Rodrigo Duterte holding a banner urging voters to reject an opposition candidate. 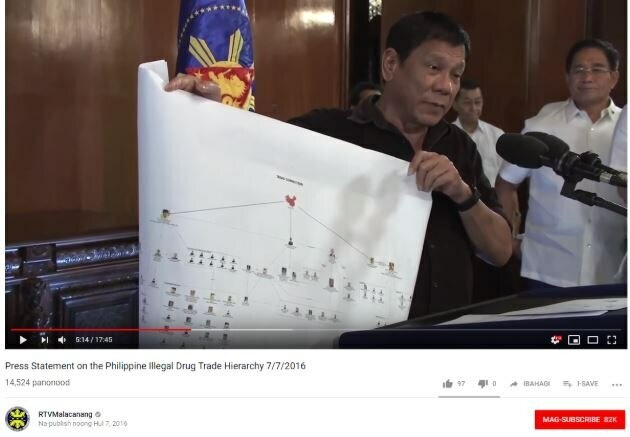 A reverse image search found the picture had been doctored from a 2016 photograph showing Duterte holding a chart about a narcotics network. Manuel “Mar” Roxas is running for senator in the Philippines’ legislative elections in May under the opposition Liberal Party. Mindanao is Duterte’s home region the southern Philippines. A reverse image search traced the photograph back to Duterte’s Presidential Communications Office Facebook page. 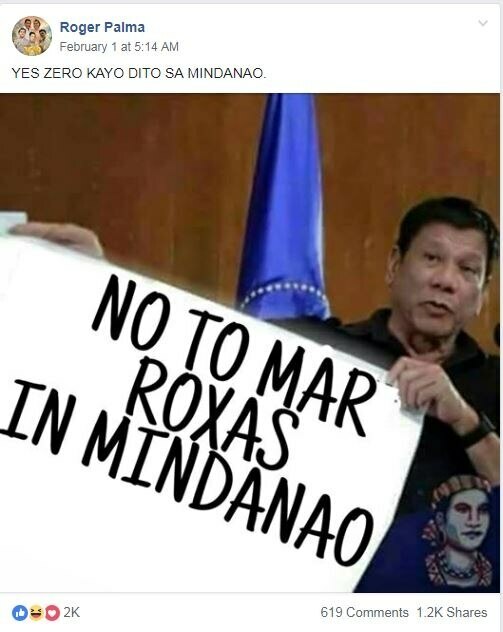 The altered version of the photo, referencing Roxas, appeared on Facebook February 1, 2019. The original photo and the doctored image contain these same details: A blue flag in the background and Duterte wearing a black polo shirt and a black watch on his left wrist. Duterte can also be seen holding the chart in a video released by his communications staff, which was posted on YouTube July 7, 2016. The image appears at timestamp 5:14. The one below, when translated to English, says "Yes..Father Digong." Digong is Duterte's nickname and he is sometimes referred to as “father” by his supporters. The post was shared over 1,200 times by Facebook accounts which support Duterte and his allies.